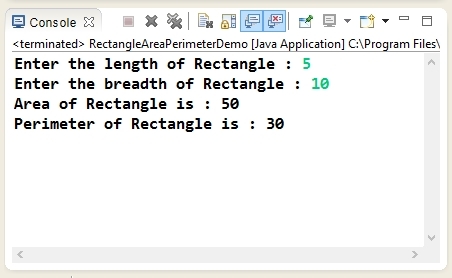 Program to demonstrate how to Calculate Area and Perimeter of Rectangle in Java. // values for length, breadth , area and perimeter of Rectangle. // Calculate area of Rectangle by multiplying length into breadth.